It was not finished with the closing ceremony. On Monday was the parade of the medalist. 21 platforms (floats) full of happy successful medalists crossed the boulevards of London. Millions of people were on the streets to celebrate the victory. The sponsor companies were giving flags & other accessories. All volunteers were asked to wear their uniforms for the last day. One nation was celebrating – not only the victories they achieved. They celebrated the Golden Summer, the “Great” Britain, the fact that they just did it despite all doubts. In a remarkable unique way. With excellent organization, dedicated volunteers, full tribunes of supporters, successful athletes, extremely efficient security, perfect transport & full media coverage. 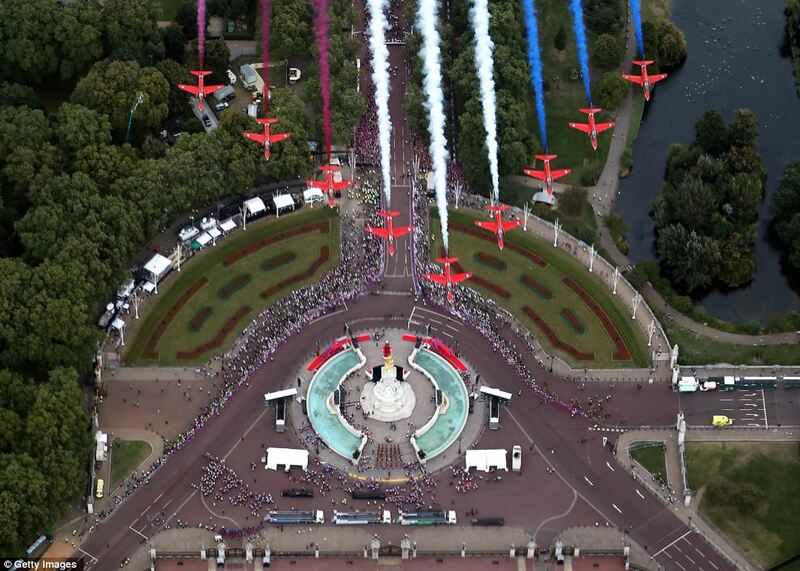 The parade was accompanied by the British Airways jet with huge “Thank you” on it and 9 military airplanes (Red Arrows) that left the 3 colored path. I just copied two great pictures from one photo article that you can find in Mail Online. There are several remarkable pictures there. The public cheered the Olympic and Paralympic heroes and I was just waiving at the exalted public with one simple thought – “I am glad to be part of this”. Just a small recap of my initiative – the www.enspirit.me blog was visited about 1300 times in two weeks (not bad). The day with highest number of visitors was “Opening Ceremony” – about 200 visitors. So I consider that at least 200 people know a little bit more about Paralympic Movement now. Maybe I made some mistakes (writing in English, not enough advertising, missing gadgets in the site) but if I provoked at least some interest in the visitors, it worth every minute that I spent on it. Thanks for everybody who read it. Sunday was the last working day. It was supposed to be less stress and more fun. We had a party in the office – the whole Media and Communication team. It was a pleasure that almost all colleagues from the “uploaders” sub-team except the Hong Kong guys managed to come. I was glad to meet again those wonderful and so diverse personalities – Susan M. (the scientist), Susan G. (the big smile), Helene (the stubborn committed kiwi), Sarah (the charity lady), Laura (the humanitarian supporting Rwanda, Cambodia, Kongo and all suffering countries around the world), Jim (the Belfast guy). I feel I know better some of these guys than some colleagues from my team. It was a great experience to see the commitment of these people, their proud to be part of this GB success, their willingness to share the moments. Nobody of them was in IT field and I was really concerned at the beginning how we are going to manage it. I learned that it is really a matter of “process definition”, explanation, on-the-job training and high commitment – then there are no obstacles to deliver the expected results. During the party we had a speech from the IPC Media & Communication Director – Craig Spence. He started with recap of the scaring expectations in front of the team – to cover different media channels and promote the games as much as possible. 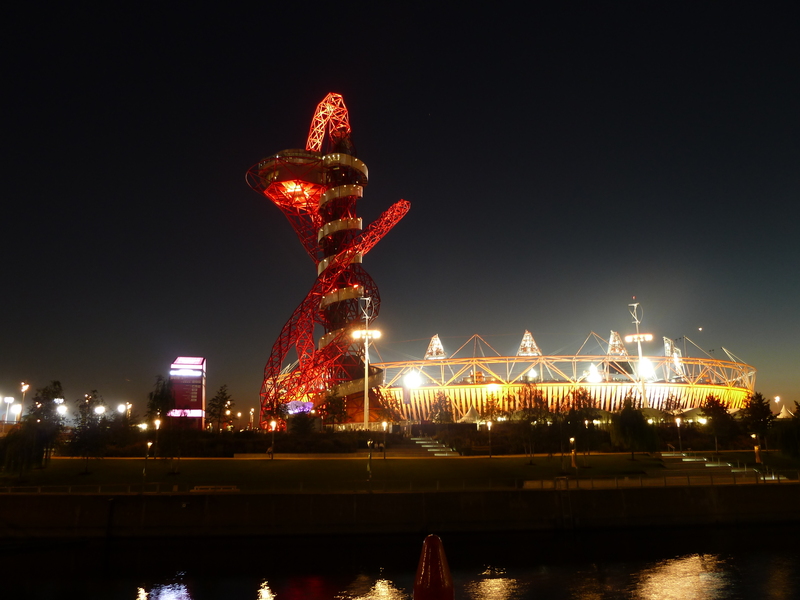 The targets were met almost in the first days – huge interests from journalists, hundred thousand subscribers in the social media, 3 million views of Youtube uploads, huge interest in the paralympic.org site and the online broadcasting delivered by ATOS. 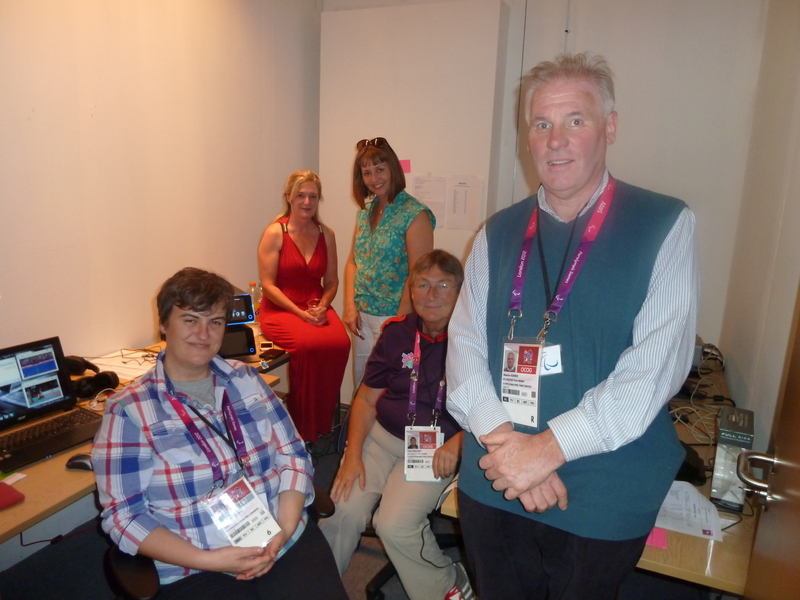 So the mission of the Media and Communication team was fully completed – the Paralympic Games were covered professionally by all channels and millions of people understood about them. I will remember the story told during the Closing ceremony about the boy reading a Peter Pan book and watching a picture of man without leg and arm (Captain Cook). His mother asked him who is this one and the small boy replied: “This is an athlete” 🙂 The logo of the games was “Inspiring a generation”, so this target was definitely fulfilled. 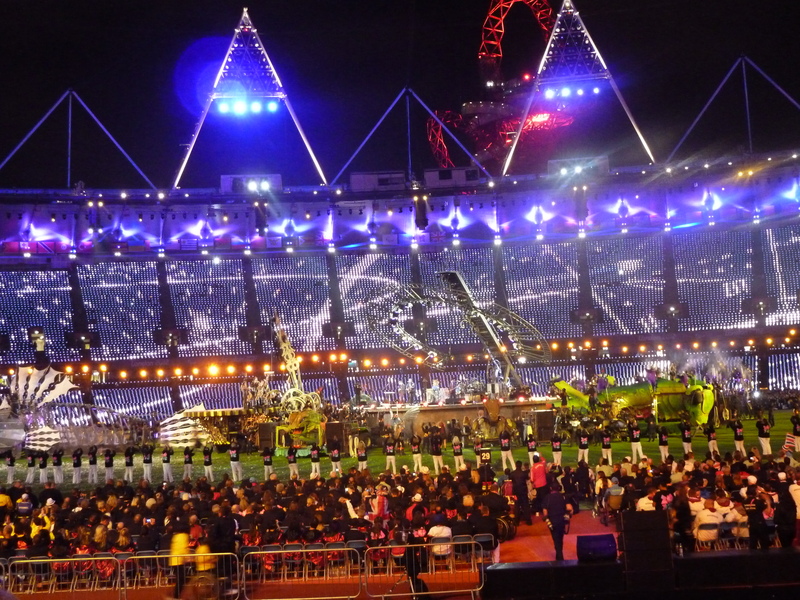 Then the time for the Closing ceremony came. I have very mixed feelings about it – knew that it would be very spectacular and sensational. It was definitely like this. But it was in some way brutal – too much flame and metal. I felt like in a Mad Max movie, like at the end of the world. Maybe I was a little bit sad that it was the end of two weeks that changed my life and I was sure something like that would never happen again. Maybe I was not able to catch the metaphor, maybe I was too tired. Will watch it once again in youtube with the commentating of Nick and will think over it once again. 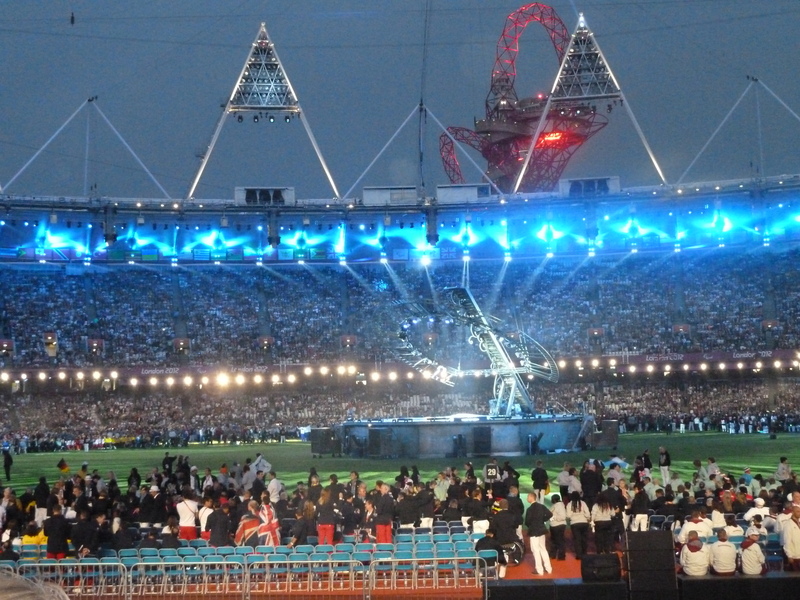 Coldplay & Rihana were the main stars in the closing ceremony. I heard about Coldplay one day before (thanks to Laura) but obviously Coldplay are for Great Britain something like U2 for the rest of the world:) My colleagues were really excited about them. The closing speeches were inspiring, the Rio dances just show that we ill see something totally different in 4 years. After the end of the ceremony, I had the last hugs with Clara & Ingo – the team coordinators who were managing the connections between all sub-teams. Some tears in my eyes, some missing words and gratefulness overwhelmed me…. The last few days are one of the busiest that I had in the last years. There are so many emotions and experiences to be shared, so I will try to make some retrospective posts. The first one is for our Bulgarian team. Stela Eneva won another silver medal and become the most successful athlete in London 2012 Games. I tried to meet her in the Olympic village and congratulate her personally – unfortunately without success. Our team is one of the smallest (only 8 people), I have not seen any representatives of the media or officials, so only the successes of Stela and Rado causes mentioning our small country Bulgaria. Anyway, we have to be very proud that our team won medals and performed so well and wish that we will have more representatives in Rio’2016 which will guarantee more popularity of Paralympic Movement and more proud for Bulgaria. 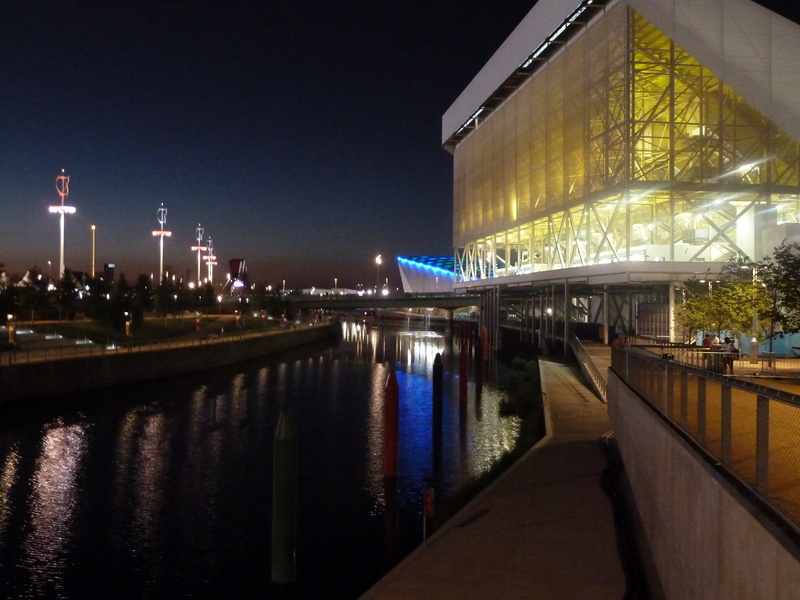 I visited two finals on Saturday – blind football and sitting volleyball. In Blind football the team of Brazil was so strong compared with the French opponents that it was almost a one field play. I already expressed my admiration about the blind football players who have such a great sense of their position, the other players, the size of the field and the doors. It’s a miracle how they can cross in a high speed the whole field without knowing what is in front of them. The two goals were scored in a similar way – the player with the the ball just overcomes (lie) all opposite team players who are positioned in a semi-circle around their door, turns sharply and shoots at the door with such a speed that the goalkeeper can not save the ball. Amazing!. You can imagine the glory of the Brazilian public shouting and screaming about their players. It was once again proven that Brazil is the “masters of football”. The second final was sitting volleyball. The match was Bosnia and Herzegovina vs Iran. 3/4 of the public was Iranians – almost everyone with a flag, standing and shouting all the time. I was in the Paralympic Family seats (the official ones) and next to me some important Iranian quests were sitting. They asked me if I mind that they will fanatically support their team, I “gave” my permission and they started. It’s strange to see Muslim lady in the traditional dress shouting “Mashalla” after each point but for me it was really a fun. I chose to support Bosnia (although they didn’t allow me to enter their country some years ago:) and their team won the final. Being a big fan of volleyball, it was a little bit strange to watch the sitting version of this game. Anyway, it has almost all elements and roles of the standard one – attacks, digs, blocks. It’s was surprising to see the moments when the game is stopped and all players stand up – some of them on one leg, some of them on both. Today, it will be a short update. The change of schedules, the sports emotions and the nice evening with a friend overwhelmed me. I will start with the best news – Bulgaria has a silver medal tonight won by Stela Eneva in Discus Throw F58. Excellent performance! 2 out of 8 athletes already have medals. We are proud with these guys! I visited today the Equestrian at Greenwich park. In Paralympics there in only one style of horse riding competition – it it dressage. In other words – dancing with horses. There is a special music going on and the horse managed by the rider walks and dances on the floor. The performance is measured in several categories – rhythm, grace, timing. I watched the most disabled class of athletes. The winner of course was from Team GB – Sophie Christiansen who is suffering from cerebral palsy and uses a wheelchair all the time. There was a quite mixture of feelings when watching it – a great satisfaction when seeing the joy and happiness that this lady experiences, a great respect to the will and determination. But still I can not overcome the pity and sympathy that I feel while watching such competitions. Congratulations for all rides at the Greenwich park. It is amazing what a contact they have created with the horses, how they balance and manage these extremely beautiful creatures. I was discussing the rules, criteria for evaluation, etc. with two ladies sitting next to me. Then the ladies turned around and started discussing the Paralympics with a man sitting behind me. I turned around and saw the badge – the UK minister of Sports and Olympics Hugh Robertson. He shared that he is extremely satisfied by the games and proud that it is not only arena given to disabled athletes to demonstrate their skills, these are already real sports with tough competition, preparation, records. I was very surprised how the minister is sitting alone, without assistants and guards and ready to get in talk with normal people. Some photos are attached below. Today I expected less people in the Olympic park as it is a working day and some children start school. But there were as many people as during the weekend. The stadium was full, there were no available seats in the venues, the people with daily passes were waiting for hours in queues for entering the games. So I was asking myself – why these people are here, what is so important in these Games? Of course the games are important for the athletes who have their needs to compete, win, challenge themselves and receive acknowledgment for their efforts. I was watching different sports and saw several different kinds of emotions – from sorrow to glory and extreme proud. The games are also important for the families of the athletes. Yesterday I saw a Canadian lady with T-shirt “I am a proud mother of Canadian Paralympic athlete”. Few days ago I was traveling in the train with a family from Australia that came in the games to watch their daughter-in-law who is a captain of the Australian women goalball team. They were so proud with her successes. Wish her luck! The games are also important for the other disabled people who a encouraged to challenge themselves either in sports or in other fields. There are so many disabled people in the Olympic park who enjoy the games and cheer the competitions. I believe this is really a great entertainment for them. But the games are also important for the British nation who needs a unifying cause in these difficult crisis times. 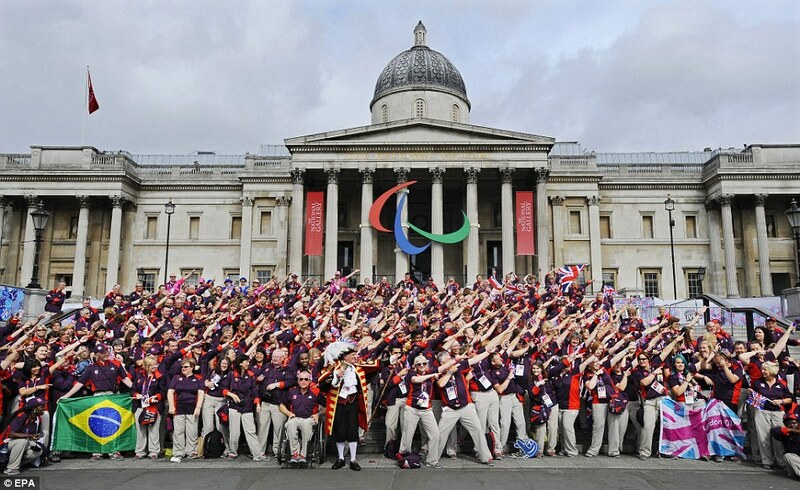 They have their Team GB that brings so many remarkable moments to the public. I have never seen in my life such a support. Children & adults dressed in Team GB colors, wearing all kinds of accessories demonstrating their contribution to the nation victories. The games are important also for the relationship between the officials and the people. You should trust the ones that managed to organize something of this scale and to ensure its security. The games are important for the 70 000 volunteers who are willing to become a part of this. I was talking today with 11 years girl that explained me that this happens “once in a life and you have to share it”. Most probably it will happen at least one more time in her life (as London has been a host of previous Games) but I doubt that it will happen in our lives – Bulgaria to become a host of Olympic/Paralympic games. I understood from the mother of this kid, that there were additionally 190 000 volunteer applications who were not approved. It is very interesting what is the motivation of all these volunteers – I will ask the colleagues in the next days. One more thing – the games are extremely important for the education of the thousands of children who visited them. This is the way to develop tolerance and respect towards disabled people. I wish more Bulgarian kids see some moments of these Games. We need it. Today we had the biggest sensation in Athletics. The 200 m run for T43&T44 (one leg-amputee and two leg amputee) was not won by Oscar Pistorius. The 20 year old Brazilian Alan Fonteles Cardoso OLIVEIRA made the sensation with incredible run in the last 50-60 m. You can see the uploaded by me video at this link: http://www.youtube.com/watch?v=A9Wlp1sTnoY. As you can see & hear …this was not expected by anybody here. Some kind of scandal followed the event – Oscar Pistorius claimed that the blades of the Brazilian athlete are longer than normal and gave him an advantage. The brazilian guy answered that he did not expected such a reaction from his idol. Oscar Pistorios is really an idol in the Paralympics. He is something as an “ambassador” of the Games, the link between the Olympics and Paralympics, a motivator and role model of thousands of disabled athletes, the best advertisement of the Paralympics. Oscar was the one who made it possible disabled athletes to compete with the non-disabled ones, he sued the Olympic committee to cancel the decision that the blades gaveve him an advantage in the run (you can see details about his mission in the wiwkipedia). This story has several view points. One is about the ability of the live icons to accept the defeat. There are rules set by the International Paralympic Committee and these rules were followed by all athletes. So, it’s a question of honor & dignity to accept that a follower will beat the leaderr. There is also another point of view – for the responsibility of IPC to set the right rules. The Paralympic games are much more complex than the standard sports. There is such a huge variety of disabilities, so it is extremely difficult to put them in classification in order to make fair competition and to compare the results. If there is a big number of classes, then the number of competitions increases proportionally and it is difficult for organization. So, IPC created re-factoring of the results in some disciplines (e.g. cycling). This approach has other disadvantages – you can not understand the winner just watching the race, there is no direct competition, you feel that the winner is decided behind the scene. So, it is really complicated. Another aspect is about the technical devices used in the races – wheelchairs, blades, carts. The technologies are also competing, so the rich countries always have access to the best devices for training and competition (especially the one with strong government support of the sports for disabled). Is this fair competition then? A lot of questions…. My proud for the day – I managed to cut the 200 m race and upload it in youtube (we are usually recoding and uploading the Athletics sessions as one file). The video was watched 8 000 times in 10 hours. Sorry for the day without update. The are so many things to be shared but I was getting ill and had to take measures. The only non-managed element of this event is the weather. Shame for the all weather forecasting sites including accuweather – instead of the promised 20 degrees it was 8 on 31.08 night. I was not prepared for the winter, so had to do urgently some shopping. Of course it was compensated today. First visited event was the morning athletics session. I entered the stadium during the victory ceremony of men 200 m. run T42 won by Richard Whitehead (GB). 80 000 people were singing the GB anthem. I wished I was a British at this moment. After that there were men 1500 m run heats. The leaders took the distance for about 4 minutes. But there was an athlete from Djibouti who took the first round for 3 minutes. All of us thought that he will collapse after the first 400 m. But he continued running one more and another one….and another one. The 80 000 were standing and shouting and applauding. Some with tears in the eyes (you can imagine that I was among these ones). What a spirit, what determination and strength this one showed. He did it for more than 11 minutes and was ready to continue if the referees did not stopped him. Every single cell of his body was dedicated to this race. After that I visited Goalball – the special Paralympic sport for blinded people. It is played in absolutely silence as the players understand the ball position by the sound of the bells in the ball. One of the players throws the ball with full power against the door of the opposite team and the three players from the defending team toss on the floor to save the ball. The match was Sweden vs Canada. I was supporting Sweden (some friends living there…). So, we won 🙂 It was very interesting that I met there the second lady from the flight to London that was traveling for the Paralympics. She is from Varna and is a referee in Goalball. So she explained me that this sport is practiced in Bulgaria and we even have a national team (still not competing in the Games) Very good news and wish them luck to qualify for Rio’2016. After the Goalball I visited football 7a – a football version for disabled. The technical director of the federation set next to me and explained me some interesting things. Currently this game is played on the summer hockey field – artificial wet flooring but the federation is thinking to change it in order to make this sport more popular (I believe this flooring is very expensive one). The match was Ukraine vs USA. No intrigue there. The Ukrainians were playing like the national football team of Sweden vs the Bulgarian one on the EU 2004 (and some other matches also). Even the result was similar – 10:0. But I am thinking that these Ukrainians will easily defeat our “football nationals”. The good news for Bulgaria – we have our first medal. Radoslav Zlatanov won bronze in the long jump with a personal best 6.81 m. Very well done Rado. Several record were beaten today. Among them – the superhuman Oskar Pistorious.